A collaborative effort to develop ideas for enhancements to the update and adoption process for standards and operating rules. Background. Administrative transactions have been a cornerstone of opportunity for cost savings and efficiency in the health care system for more than 20 years. The HHS Secretary has the authority to adopt new or updated administrative standards annually under section 1174 of the Health Insurance Portability and Accountability Act of 1996 (HIPAA). The tenets of HIPAA were reiterated in section 1104 of the Patient Protection and Affordable Care Act of 2010, which also required the adoption of operating rules to support adopted standard transactions. NCVHS is the advisory committee to the Secretary, with responsibility for providing recommendations to HHS on standards and health information technology. On August 21, 2017, HIPAA turned 21 years old. The date of the last Federal Register notice adopting updated versions of the X12 and NCPDP standards was January 2009. The most recent regulation adopting an operating rule was published in 2012, and operating rules have been adopted for four (4) transactions to date. NCVHS has heard from industry that the update and adoption of standards and operating rules needs to be tied to other advances in technology and the convergence of medical and administrative information. This will enable organizations to be more efficient, reduce costs and focus on patient care and outcomes. This equates to the adage of adopting the right standards and operating rules at the right time for the right purpose. This report is a summary of a workshop held on August 21, 2017, with members of the NCVHS Standards Subcommittee, representatives from each of the standards development organizations (SDOs) and operating rule authoring entity (ORAE), members of the Designated Standards Maintenance Organization (DSMO) and staff from the Centers for Medicare & Medicaid Services (CMS). The purpose of the workshop was to develop ideas for improving the process of updating and adopting standards and operating rules so that providers and health plans could participate and implement more effectively. Overall, the intent for the project is to make the process of adopting standards more predictable and cost effective. A method called Appreciative Inquiry was used to evaluate the strengths of the existing processes, identify opportunities for change and develop ideas for next steps. In the next few months, the Standards Subcommittee will vet these ideas with stakeholders and determine how best to implement them. Appreciative Inquiry (AI) is a change management methodology with a foundation in organizational psychology. AI is a type of visioning exercise that allows participants to work together to solve challenges while focusing on the positive aspects of their work. An important element of AI is a commitment to action. One outcome of AI is that participants work together to develop ideas and solutions for implementation, even if the steps and ideas are small and incremental. 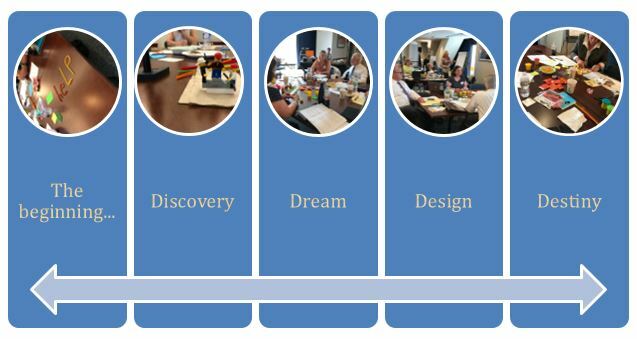 There are four phases to the Appreciative Inquiry visioning program (Discovery, Dream, Design and Destiny). The participants spent a full day going through a series of exercises in each phase to come up with a set of ideas related to improving the process of updating and adopting standards and operating rules. During the Discovery phase of the workshop, the facilitator asked the participants to talk about experiences in which they contributed to successful improvements in their organizations or the larger health care system. Common themes representing past success identified by the groups are listed below. In the second phase of the workshop, participants were asked to reflect on what “could be” for the future for health care standards and operating rules. They were told to think about a scenario in the year 2030, where all systems could interoperate. The participants were asked to describe “the new world” in 2030, with a vision of how things should be operating, how data should be flowing, how technology should work. The topics that came out of the large group discussion focused on technology, functionality and some operational issues. An overarching theme from all groups was that patient outcomes drive process and produce value at each step through a safe, secure, trusted network. Systems are technology neutral and focus on program/use cases. In the third part of the workshop, participants were asked to develop more specific ideas for how their “dream” (ideal) ideas could actually work in the new era. Several groups proposed establishing a new oversight organization to govern the SDOs and Operating Rule Authoring Entities. One concept suggested that this entity would replace the DSMO, and another concept gave the entity a different set of responsibilities to oversee the SDO and ORAE development and voting process. The entity would be created through rule making, and would be funded so that it would not be dependent on volunteers. The perceived benefit of this new organization is improved collaboration through industry alignment on purpose and role, collaboration on individual data set definitions (e.g. across financial, clinical and operational terms) and streamlined workflow. Another perceived benefit would be the elimination of redundancy of the federal process with that of the SDO and operating rule update process. We received one comment that creating a new oversight organization to govern seemed like it could be a CMS role. More layers typically just bog things down and cause even more delays. Another commenter suggested that oversight of the DSMO could be a WEDI role, and that WEDI could process business requests and deliver these to the SDOs. Another idea that generated significant discussion was the timing of updates – some suggested that updates to standards and operating rules be more frequent and regular; annual or bi-annual or with 18 month fixes. The group said it would be important to agree upon a reasonable release schedule and to implement releases of the updated standards and operating rules simultaneously. By doing so, industry would clearly know when to expect the new versions of the standards and operating rules. Common content with a data dictionary and definitions. Define vendors as covered entities under HIPAA. Shorten the rule making period. Streamline the approach to the development of standards and operating rules, moving from a draft to production version, and continuing development of minimum changes in development. 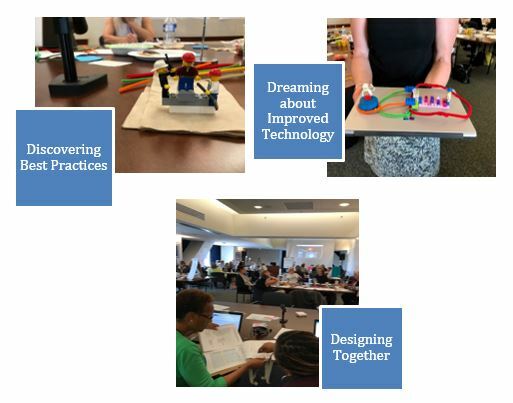 The “Destiny” phase led participants from design ideas to reality, asking them to incorporate a plan of action with short, medium and long term tasks. The ideas generated by each table of meeting participants are summarized and compiled below. Sufficient representation and engagement of all stakeholders in the development of and updates to standards and operating rules. One commenter said it was not clear enough that the intent was to ensure that all changes being made to the standards and operating rules were through an open process; that comments were open to public comment and that the process is transparent. Continue Standards Subcommittee review and analysis based on workshop input and other research and analysis. Reach out to users of the standards and operating rules to discuss their perspectives on opportunities, options and impacts. Reach out to workshop participants to validate themes and suggestions captured in this report. Develop “straw person” alternatives and present them to industry for feedback. We solicited input from all of the workshop attendees and received few corrections. We did receive a few comments which we decided to include in the report. One commenter wrote: The workshop was a good opportunity for the various organizations to come together and think outside the box. The report summarizes many of the creative ideas that came out of the day. From an ORAE perspective, we wanted to share some high-level thoughts. Need to Distinguish between Operating Rules and Standards: We have observed a pattern throughout the road-mapping process of standards and operating rules being considered together rather than as different and complimentary tools for EDI. The Affordable Care Act (ACA) defines operating rules as “the necessary business rules and guidelines for the electronic exchange of information that are not defined by a standard or its implementation specifications.” The purpose of operating rules is to enhance the use of the standards by addressing gaps in standards, help refining the infrastructure that supports electronic data exchange and recognizing interdependencies among transactions. The very definition of operating rules supports the need for development and maintenance processes/timelines to vary and be more flexible than those for standards to ensure maximum benefit. Coordination between operating rules and standards will be iterative as already demonstrated, e.g. new operating rules may be issued using the same version of a standard and items required by the operating rules will, in some instances, be moved into the next version of a standard and removed from rules. We urge NCVHS to consider this important distinction moving forward. Evolving Voluntary vs Mandated Approach for Operating Rules: Some operating rules are federally mandated, while others are voluntary. Moving forward, it is expected that this mixed approach to operating rules will continue and thus should be considered in any road mapping effort. Section 1174 of the Act requires the Secretary to review the adopted standards and adopt modifications to the standards, including additions to the standards, as appropriate, but not more frequently than once every 12 months. Modifications must be completed in a manner that minimizes disruption and cost of compliance. The Unified Medical Language System (UMLS) integrates and distributes key terminology, classification and coding standards, and associated resources to promote creation of more effective and interoperable biomedical information systems and services, including electronic health records.